Here are the baked Saretti Cookies. 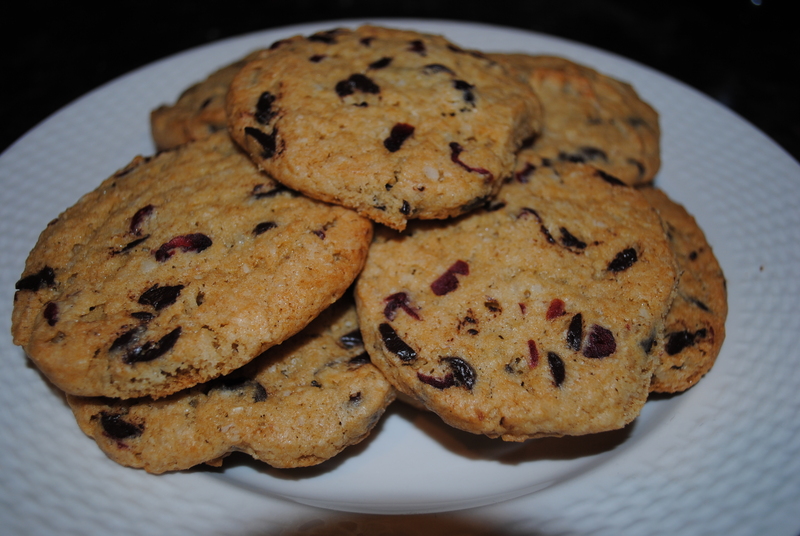 Saretti cookies are my own creation of an oatmeal chocolate chip cookie dough using dark chocolate, coconut and dried cranberries. We sell the cookie dough for you to just place the portioned cookie dough straight from the freezer and bake at 375F for about 15 minutes. I like to under cook them to keep them soft and chewy. Sam prefers them to stay in the oven longer to become more crunchy. Warm out of the oven with a cold glass of milk. What could be better?